As a car nerd, going to car meets and Cars & Coffee events are pretty much surefire ways to meet other nerds. They’re great gatherings, usually local, where everyone comes out to enjoy cars. You guys already know this, but car people are a real eclectic and super friendly bunch. I met two of my closest friends at a car meet when I was in college. It took place in the evening in a Wendy’s parking lot not far from campus. I think about 20 to 25 cars showed up. I had just transferred schools, so I didn’t really know anyone and figured that a car meet would be a good place to start making friends. 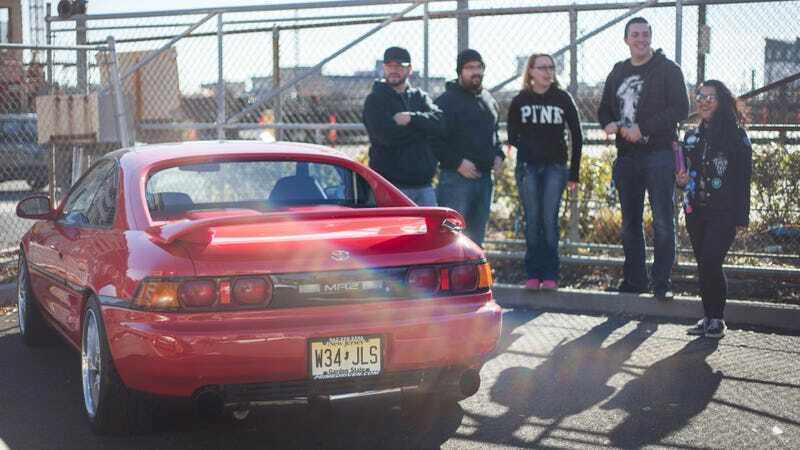 It was also the first time that I’d seen an LS3-swapped RX-7 in person. My first soon-to-be friend was standing next to his black Mercedes C63 AMG, smoking a cigarette from a long cigarette holder and I decided right on the spot that we had to be buddies. I met my second friend at the Korean BBQ meetup after a car club group outing. We sat next to each other and didn’t hit elbows because we’re both lefties. What’s your best car meet story? Something good, bad or in between?